A headline in today's Globe and Mail caught my eye: Volcanic eruption may be linked to quakes. Scientists with the Geological Survey of Canada are determining whether hundreds of small earthquakes near a remote volcano called the Nazko Cone are a sign of a pending volcanic eruption. 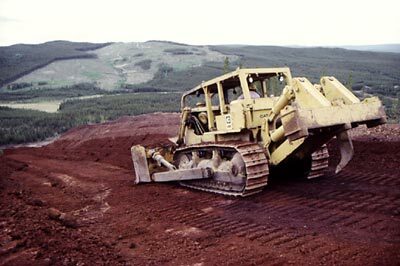 The Nazco Cone is in the small village of Nazco, located 75 km west of Quesnel, in the Cariboo region of British Columbia. The Nazco Cone in Nazco, British Columbia.